The Ji Si offers incredible versatility over your distorted guitar tone. With common EQ controls (bass, mid, treble) and a dedicated gain control you can shape the tone to fit your mood. The Ji Si features two distortion modes, modern and vintage, both modeled after a traditional British gain structure. 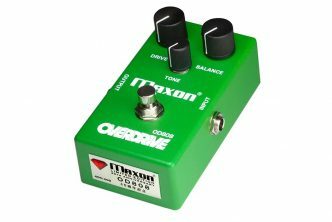 The vintage distortion has the sound of an old tube amplifier that has the master controls cranked up to sound more like power-tube overdrive, whereas the modern option focuses more on the preamp tube tone. What sets the Ji Si apart is the boost side of the pedal. 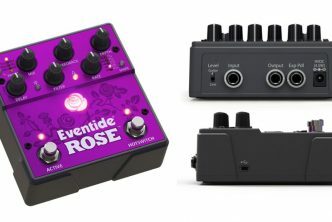 With its own independent and unique EQ controls you essentially have two distortion pedals in one. The boost channel adds a supercharged mid-range control which allows the player to sweep through the mid frequency between 250Hz and 4500Hz and adjust the contour of the eq curve for that frequency which can provide anywhere from a sharp spike of the selected midrange and volume for solos, or subtly adjust the mid-range to give the guitar a different voice. 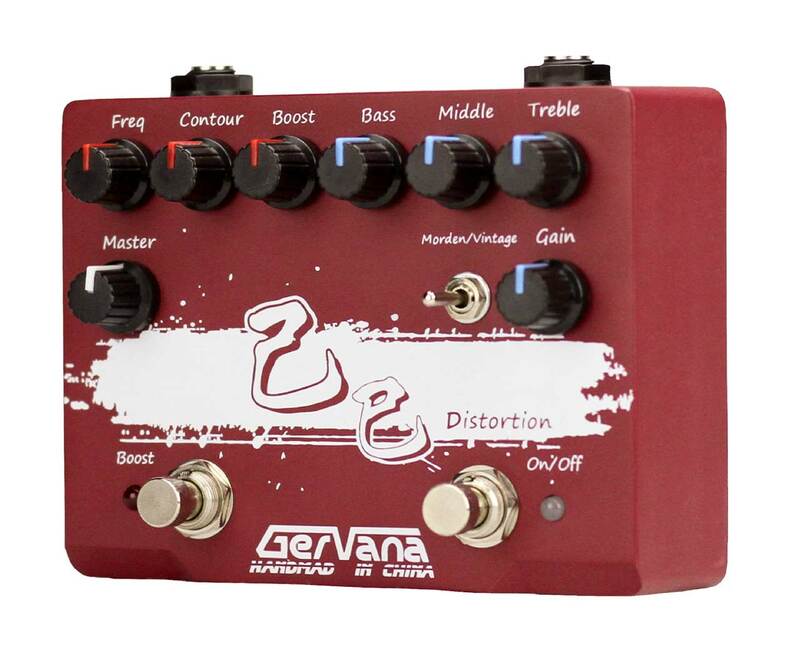 Gervana Pedals – Pronounced “juhr-VAH-nah” — has been creating boutique quality, hand-wired pedals in their electronics factory in Fushun, China since 2005. 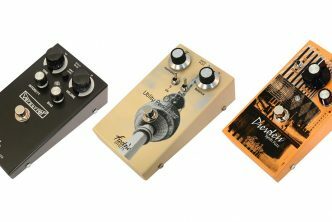 Small batch manufacturing has made these pedals rare and elusive, with only enough to support the local musicians in the area. The growing Gervana line features premium components, durable construction and, most importantly, pro-quality tone. 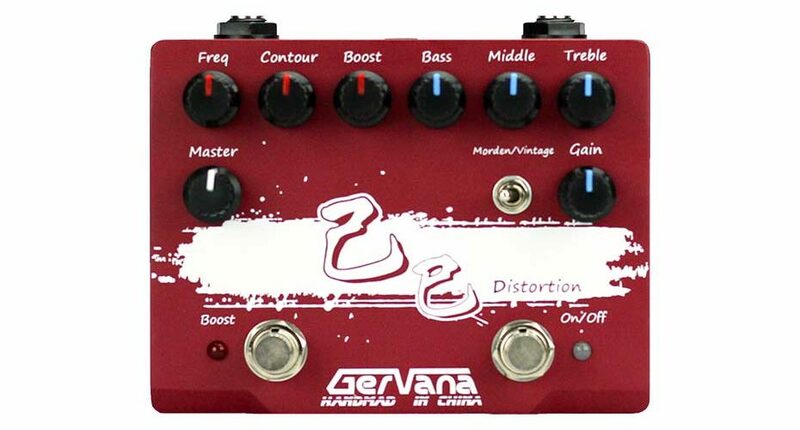 Gervana is continually developing new models, offering musicians boutique-quality pedals and amazing value. 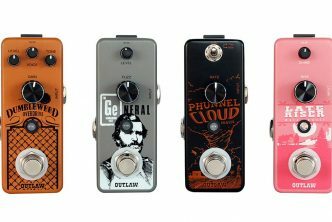 At Gervana we like to think that just because you didn’t spend $300 on a boutique pedal doesn’t mean your tone has to suffer.